Coney Island Style!! 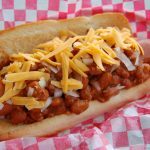 Kosher beef hot dogs, homemade chili, cheddar cheese and onions! CHILI: Fry bacon over medium heat until it begins to get crispy, increase heat to medium-high and add onions, stirring often, until they begin to brown. Add ground beef, stirring occasionally, until the beef is browned. This will take a few minutes. When the beef is about halfway browned, toss in the chopped garlic, mix well. Once the beef is well browned, add tomato sauce, molasses and beef broth. Add all the spices except salt and cayenne, stir well. Reduce heat to a simmer. Add salt and cayenne, to taste. 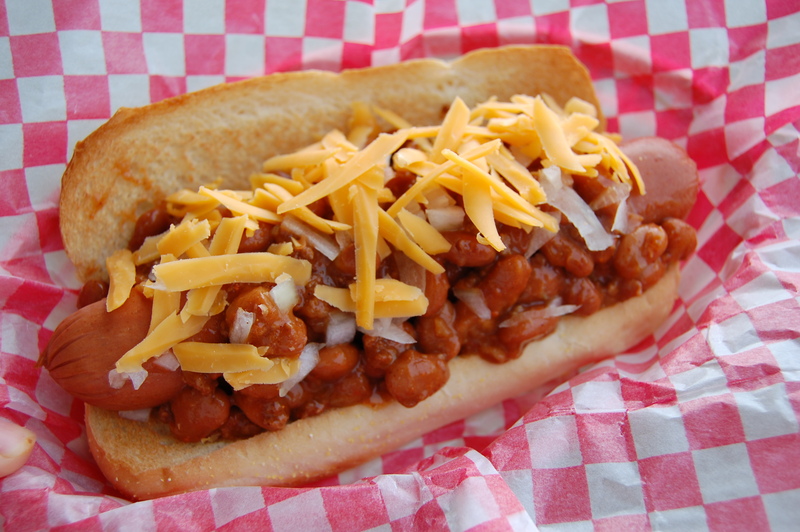 Let the chili cook on a gentle simmer for at least 30 minutes before you start grilling the hot dogs. HOT DOGS: Grill hot dogs over medium heat until they get a light char. Butter the hot dog buns and grill no more than a minute or two, as they will burn fast.